I realised last week that even though I feel like I talk about gingerbread a lot, I’ve never actually shared a recipe for it on here. It’s December tomorrow, which means Christmas is just around the corner, and I’ve started making preparations – I even wrapped my first presents the other night! Yet, bizarrely enough, as I was making gingerbread dough the other evening, I kept hearing the sound of an ice cream van going around near my house playing its jingle. Who buys ice cream when it’s late November and 6 degrees? I have no idea, but I see ice cream vans all the time in Norwich, so I guess someone must be doing it. Gingerbread has many recipe variations, and I’ve amalgamated my own based on various recipes I’ve seen and tried over the last couple of years. 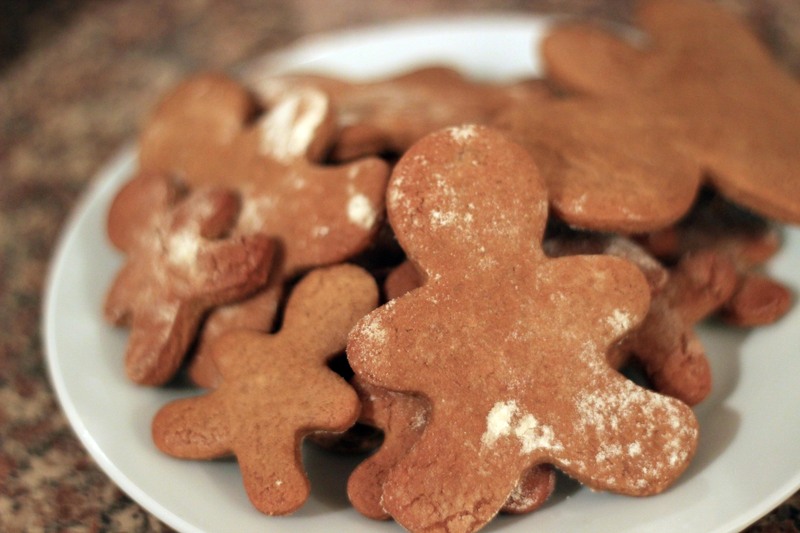 It might not be the ultimate gingerbread recipe (if such a thing exists), but it’s the one I like. I think it’s pretty much up to you the amount of ginger and other spices you use, and whether you use treacle or golden syrup or both – it has slightly different results. I prefer to use a small amount of cinnamon and nutmeg along with ginger because I think it gives it a better depth of flavour. 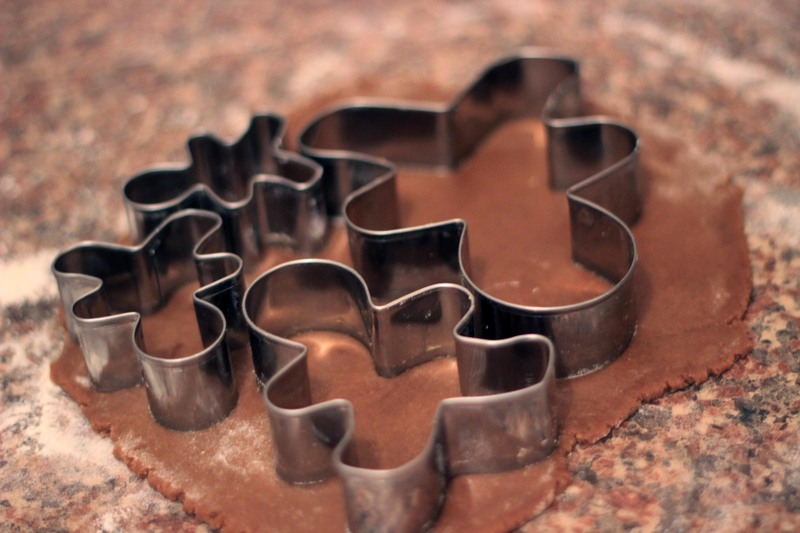 Some of this gingerbread has a decorative role to play in what I’ll be making for next week – gingerbread cupcakes! 1. Sift the flour, spices and baking powder together, and rub the butter in until you get a breadcrumb-like consistency. Stir in the sugar (if the muscovado has lumps in, try to get rid of them). Whisk the egg, syrup and treacle together and then add to the flour mixture. Knead together to form a dough. 2. Wrap the dough in cling film and put in the fridge for about an hour. Preheat the oven to 180C/Gas 4 and line two baking sheets with greaseproof paper. 3. Remove the dough from the fridge, cut in two (it’s easier to roll out the dough in two batches, this makes it less likely to dry out). Roll out the dough onto a floured surface until it’s about half a cm thick. Cut out your gingerbread men, or whatever shape your gingerbread is going to take, place on the tray and bake for 10-12mins. Repeat with the other half of the dough. Allow them to cool on the tray for a few minutes before transferring to a wire rack to cool completely.